Remanufactured Epson Ink Cartridge, Orange, 915 page yield. Replaces Epson part number: T087920, T0879, 87 Orange. Remanufactured Epson Ink Cartridge, Cyan, 915 page yield. Replaces Epson part number: T087220, T0872, 87 Cyan. Remanufactured Epson Ink Cartridge, Magenta, 915 page yield. Replaces Epson part number: T087320, T0873, 87 Magenta. Remanufactured Epson Ink Cartridge, Yellow, 915 page yield. 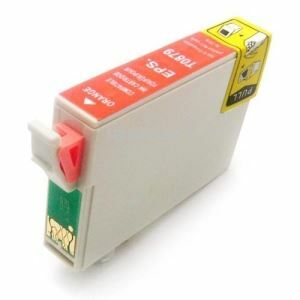 Replaces Epson part number: T087420, T0874, 87 Yellow. Remanufactured Epson Ink Cartridge, Red, 915 page yield. Replaces Epson part number: T087720, T0877, 87 Red. Remanufactured Epson Ink Cartridge, Photo Black, 5,630 page yield. Replaces Epson part number: T087120, T0871, 87 Photo Black. Remanufactured Epson Ink Cartridge, Matte Black, 520 page yield. Replaces Epson part number: T087820, T0878, 87 Matte Black. Remanufactured Epson Ink Cartridge, Ink Optimizer, 3,615 page yield. Replaces Epson part number: T087020, T0870, 87 Ink Optimizer.